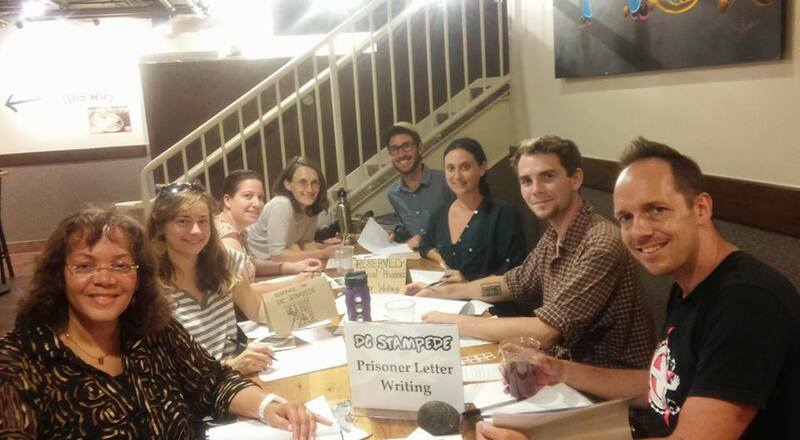 DC Stampede hosts a letter writing night every month. In September we are hosting a special letter writing night on Sept 2nd as part of a week of Black Lives Matter actions in DC. Join us for our night of solidarity with people in the black liberation movement and victims of systemic racism who have had their freedom taken from them. We’ll provide all the materials, a list of prisoners with short bios, and a quick “how to” for anyone who would like some guidance. Government repression has long attempted to chill dissent and divide movements. Let’s spend the evening fighting back against the state’s attempts to divide our communities. We’ll be at Potter’s House DC (1658 Columbia Road NW) at the community table in the middle of the cafe. See you there! ← Neighbors to Skanska VP: Drop the Contract!